I love the soulful and sometimes melancholy sound of the French Horn. With today’s MotD we’re focusing specifically on the Natural French Horn, the one without valves. Here we can see all the mandala like shapes that make up this beautiful instrument: the bell, the circular curvings of the tubing, and the area where the mouthpiece goes. Brass and silver mounts, inside of the bell painted in green and gilt lacquer. The instrument is fitted with a series of changeable medial crooks within the outer coil, so that it could be played in a number of different keys. 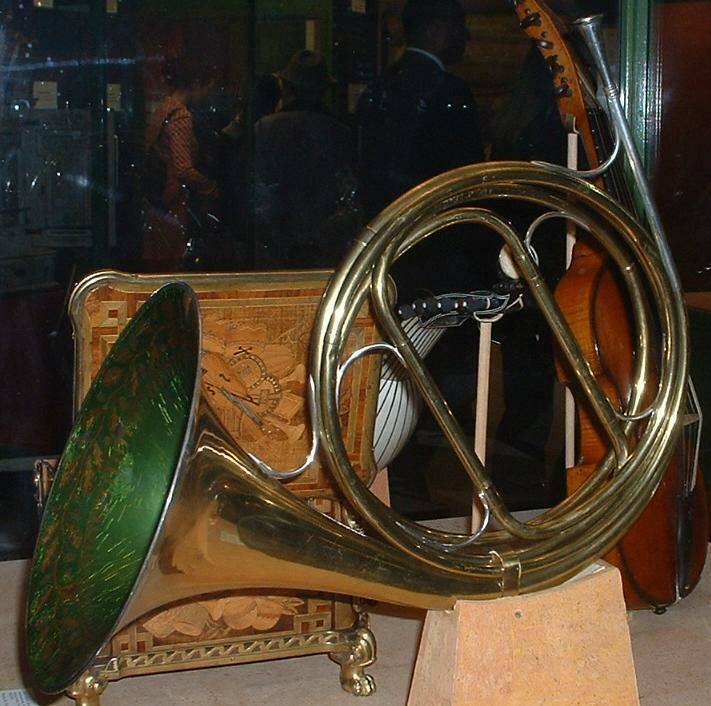 The natural horn is the ancestor of the modern horn. It is essentially descended from hunting horns, with its pitch controlled by air speed, aperture (opening of the lips through which air passes) and the use of the right hand moving in and out of the bell. Today it is played as a period instrument. The natural horn can only play from a single harmonic series at a time because there is only one length of tubing available to the horn player.